A soft, in more ways than one, Thursday night opening for “Dawn of the Planet of the Apes” was pointing toward a film that would under-perform vis a vis its projected $70 million opening. But Friday turned that around, as the 3D sequel played to packed houses, 4,000 theaters worth — $27 million or so, according to Deadline.com. That suggests something in the $60s to low $70s. Word of mouth on this well-reviewed film should be good, so if Saturday produces similar numbers, Fox has a July hit on its hands. 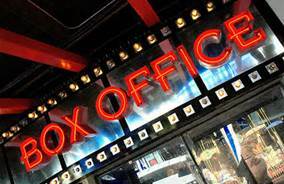 “Tammy” is tumbling off and won’t hit anywhere near $100 million, “Begin Again” added theaters and climbs into the top ten, “Transformers” is over $200 million by Sunday night, “22 Jump Street” will probably fall short of that mark, by month’s end. This looks like the last weekend “Jersey Boys” is in the top ten.